Wifi Archives | Page 5 of 18 | King Rentals, Inc.King Rentals, Inc.
Nestled among lush, tropical landscaping, 8751 Live Oak is a beautifully modern townhome. Enjoy the amenities of home including a fully equipped kitchen, in-unit laundry, and high-end finishes throughout. Downstairs boasts an open floor plan that opens onto the screened- and fenced-in patio, and upstairs the bedrooms open onto a screened in balcony. 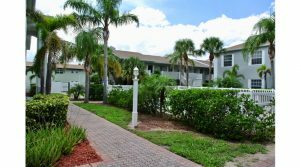 Ocean Woods is a quiet gated community near Port Canaveral with a beautiful community pool, tennis courts, and a nature walk with a private beach access. The grounds are beautifully landscaped and are home to many of Cape Canaveral’s wild peacock population. Located at the north end of Cape Canaveral’s revitalized Ridgewood area, near local amenities, parks, and easy access to surrounding Space Coast, Kennedy Space Center, and Orlando areas. Sea Era Sands is a luxurious, oceanfront condominium complex located in the quiet Ridgewood stretch of Cape Canaveral. The complex offers private beach access, under-building parking, and a heated pool. Unit #402 offers panoramic views of the beach and Atlantic Ocean from the 4th floor balcony and comes with a fully equipped kitchen, laundry in unit, and internet access. The master suite has direct access to the balcony and ocean views, a flat screen TV, walk-in closest, and an on-suite bath with a walk-in shower, double vanity, and garden tub. Beautiful, intricate furnishings, spacious floorplan, and right on the beach! Enjoy the sparkling community pool with outside bath access, and a beach access with a shower. 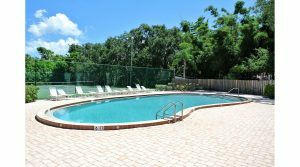 Great location near Port Canaveral and area amenities, just a short drive to Orlando and surrounding areas. This three bedroom, two bathroom unit overlooks the pool at Bayvue Condominiums. Unit 7 is a three bedroom, two bathroom, 2nd floor walk-up that has been completely remodeled. Enjoy all the amenities of home with a fully equipped kitchen, laundry in unit, flat screen TVs, and more. 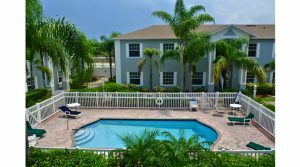 Explore the Space Coast and surrounding areas from a centrally situated location within walking distance of Publix shopping center, and just a few blocks away from the Cocoa Beach Pier and beaches. Near local amenities, Port Canaveral, Kennedy Space Center, and just a short drive to Orlando. This beautiful townhouse in Cape Canaveral is situated just a block away from the beach! 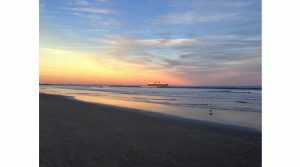 Enjoy easy access to Cape Canaveral’s beautiful beaches at both the Taylor Ave and Polk Ave public beach accesses, or take an easy bike ride up to popular Cherie Down Park which has public restrooms and beach showers. 7450 Magnolia has a private yard area complete with an outdoor shower and subtropical landscaping. Inside, the unit has been completely remodeled and features bright, coastal decor, a full kitchen, a laundry room, large flatscreen TVs, an electric fireplace, and plenty of room for guests. There are two bedrooms and two bathrooms upstairs, and a half bath downstairs, and the master suite has a private balcony. Explore the Space Coast and surrounding areas from a central location near local amenities, shopping, dining, and services, growing Port Canaveral, Kennedy Space Center, and just a short drive to Orlando. Enjoy the ocean breezes from the large, screened-in patio in this ground floor unit at Canaveral Sands! Unit 4-102 is a two-bedroom, two-bathroom unit with all the amenities of home: a fully equipped kitchen, laundry in unit, flat screen TVs, internet access, and a spacious open floor plan. The living room and master suite both open to the patio for indoor/outdoor living. The Canaveral Sands complex is located at the north end of Ridgewood in an area of subtropical landscaping, local peacocks, and a biking/walking path with many public beach accesses. Just around the corner from Port Canaveral or Cherie Down Park, near local amenities and attractions, and just a short drive to surrounding Space Coast areas, Patrick AFB, Kennedy Space Center, or Orlando.